Kemba Walker and Stephen Curry are 2 of the best young guards in the NBA and put on a show Monday night in Charlotte. Curry dropped 43 points while Kemba collected 31 points with 5 rebounds and 5 assists. 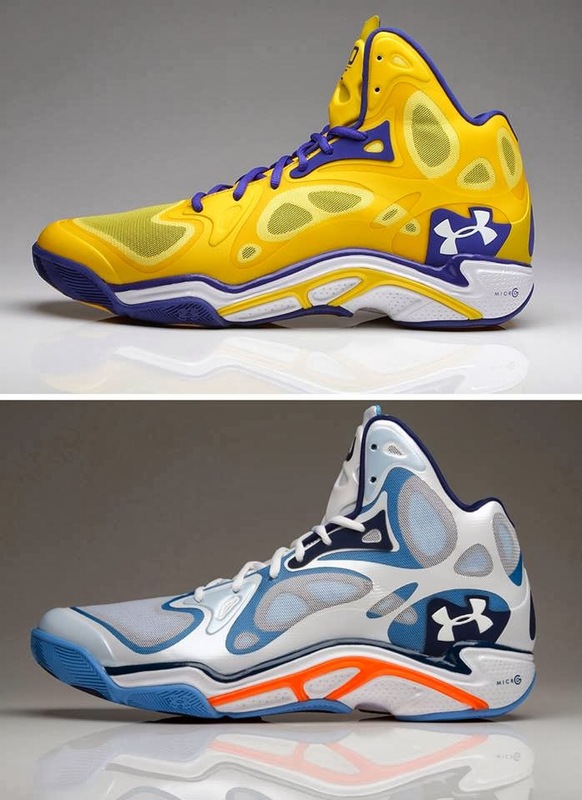 These guys are the 2 faces of Under Armour basketball right now and recently the brand released this picture of the Anatomix Spawn player exclusive shoes in both players color ways. Curry’s in blue and yellow and Kembas in white/blue/orange. They both represent the two player’s teams well but which do you think looks better and what’s your overall take on the Spawn’s?